Happy New Year! 2018 already. Seems crazy, doesn't it? I'm welcoming the start of a very creative year...Creative Embellishments style. I'm proud and thrilled to join this fabulous chipboard team this year. Yippee! 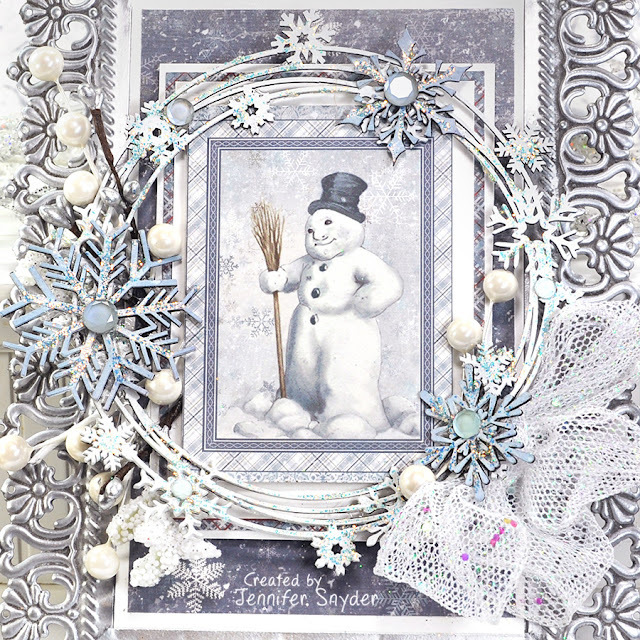 I've taken this opportunity to create a winter wonderland mixed media piece to join in the monthly challenge at Creative Embellishments. You can find the challenge rules and info right here. I painted the chipboard frame white and added glitter glue. Then I topped the chipboard frame with individual snowflakes painted a light blue (Large Snowflake Set ). 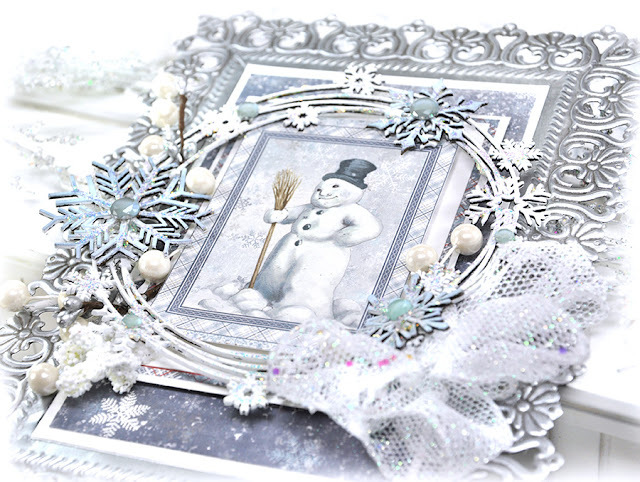 The paper collection is quite versatile and can be used for so many occasions - from Christmas to the cold days that follow in the new year and beyond. Big congrats on the DT with Creative Embellishments! They are so very lucky to have you!